NextDo Insomnia and Noise Sensitivity Go Hand in Hand? 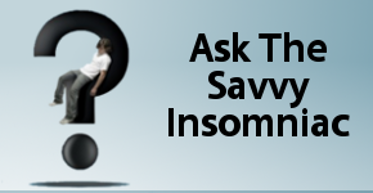 A lot of people with insomnia say the main barrier to sleep is an unquiet mind. The minute they lie down, the mind starts racing over the events of the day or sprints ahead to the next day, chewing over problems and unable to stop. If you could put a lid on the chatter and improve your sleep by dedicating 20 minutes a day to meditation, focused breathing, and simple yoga poses, would you do it? Here’s what you could expect to gain, in the words of those who are doing it. This is the commitment a group of insomnia sufferers made after participating in an 8-week study comparing the effects of mindfulness-based stress reduction (MBSR) to treatment with the sleeping pill eszopiclone (Lunesta). The MBSR and the Lunesta groups experienced similar improvements in their sleep. But the MBSR group reported a lot more treatment satisfaction. Five months later, 9 participants gathered at the University of Minnesota in focus groups to discuss the effects of MBSR on their sleep and waking hours. Here are some of their comments. Mine [my sleep] was almost immediately, positively impacted . . . I didn’t sleep longer, but I slept better. So I woke up more refreshed even though I wasn’t sleeping more, and that happened for me very quickly. Sleep quality improved with MBSR practice. Specifically, people reported (1) getting to sleep more quickly, (2) having shorter nighttime awakenings and fewer early-morning wake-ups, and (3) waking up feeling more rested and refreshed. The body scan helped keep my mind from racing, so that I could just decompress and fall asleep. If I wake up in the middle of the night it [the body scan] seems to help me relax and get back to sleep. And a lot of times I’m back to sleep before I get past the left leg. While undergoing the MBSR training, participants also learned the rules of good sleep hygiene: avoid caffeine late in the day, get up at the same time every morning, and so forth (you know the drill!). making it a priority to do the things that we all know we are supposed to do, but we don’t necessarily do. Like not watching TV in bed, not eating chocolate at 7 o’clock at night. Overall, MBSR training made it easier to shy away from behaviors that interfered with sleep and adopt habits that were helpful. Sleep wasn’t the only that improved with training in MBSR. People also reported feeling better emotionally and physically in the daytime. I feel as though instead of getting worked up about things throughout the day and then having it be difficult to come down to relax and sleep, I feel that when I started doing the body scan [in the morning] I was at a stable emotional level throughout the day. The yoga component of the training was helpful in increasing physical flexibility and reducing aches and pains. It’s low impact and I don’t get stiff like I used to sitting working long hours. I noticed that the benefits left me. . . . I came back home and here was the chatter all back again. ‘I shouldn’t have said that. Shouldn’t have done that.’. . . It was all back. And . . . I couldn’t go to sleep. And when I do the meditation that chatter goes away. . . . I lay down at night and I’m not chattery. A maintenance routine of 20 minutes a day does not sound like a big investment if the potential gains are as great as these comments would suggest. As alternative treatments for insomnia go, this one is not so demanding. But the initial 8-week training requires a bigger time commitment. To learn MBSR techniques, group members participated in a 2½-hour class every week and a daylong silent retreat. They were also asked to do 40 minutes of home practice 6 days a week. This is the standard MBSR training program recommended by Full Catastrophe Living author Jon Kabat-Zinn. But a 20-minute maintenance regimen that can be done at home with no special equipment and no special clothes? Especially if mental chatter and/or conditioned arousal keep you from sleeping at night, MBSR is worth a serious look. While insomnia has not been a chronic problem for me over the years, I have found that meditating at night helps settle my mind. Sometimes I’ll meditate before going to sleep and I find it puts me into a restful, peaceful state. Thanks for writing in to share your experience. I have slept 3-4 hours in the first four nights of sleep restriction therapy, in the aggregate. On the first three nights, I managed my anxiety around sleeping very well with mindfulness and breathing exercises, was able to drift into light sleep and was able to function decently during the daytimes. However, the fourth night was considerably worse. I was unable to stay awake past 1 am (30 mins shy of prescribed time), and was nearly overtaken by anxiety, but managed to walk it back and get approximately 45 minutes of light sleep after tremendous effort at concentrating on mindfulness and deep breathing efforts. But then the anxiety resumed later in the night and disrupted efforts to sleep. 1) Is my sleep deprivation within the bounds of patients undergoing this type of therapy, or am I an outlier ? I am concerned for my well being given the extremity of my sleep deprivation, yet if this is within bounds, it gives me more confidence to continue the therapy. 2) Is there anything I can do to modify the therapy to alleviate the anxiety or otherwise render it slightly easier for me to continue ? I feel like the cumulative sleep deprivation is undermining my ability to concentrate and focus on the breathing and mindfulness exercises, and thereby manage anxiety. I don’t know anyone for whom the first week of sleep restriction is actually easy. Restricting your hours in bed to the average number of hours you’re actually sleeping is going to result in some sleep loss for most people, and maybe quite a bit of sleep loss for some people. As for how common it is to be as short on sleep as you feel you are, I really can’t say. I’m not a therapist myself, so I don’t accompany people along every step of the way as they move from poor sleep toward better sleep. But you may be getting more sleep than you realize. 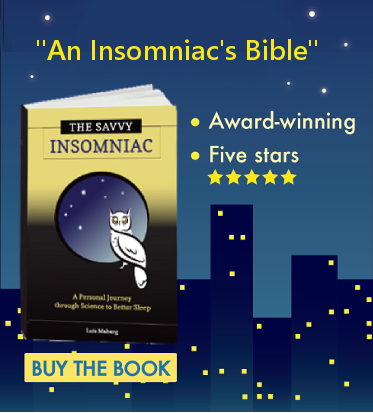 You’ve probably heard that people with insomnia often underestimate how long we’re sleeping. Well, in recent years they’ve figured out what may be going on. It is possible for most of the brain to be asleep while some parts are in a wake-like state. These parts may be taking in and/or processing information while the rest of the brain sleeps–at least, that is the hypothesis now. Anyway, my guess is that you may be getting more sleep than you think–and my hope would be that this would allay your anxiety as you go through the sleep restriction process. Congratulations, though, on being at least somewhat successful in using meditation and breathing techniques to manage your anxiety. I was a mess during the first 3 or 4 nights of sleep restriction. My anxiety level was sky high. Yet soon after that, my sleep loss was so great that I couldn’t do anything but sleep during my prescribed hours. My advice to you would be to stay the course. You may be on the verge of turning this thing around very soon. I know it’s hard to feel positive about having to stay up until 1:30. But if there’s any way to figure out some quiet but somewhat enjoyable activities you can do in the run-up to bedtime, that could be a way of lessening some of the anxiety you’re feeling about this process. Good luck, and let us know how it goes for you. Do Insomnia and Noise Sensitivity Go Hand in Hand?